Harold L. Haga, 86, of Kingsport, went home to be with the Lord late Saturday night. Harold was born in Marion Virginia, moved to Kingsport, and was a graduate of Blountville High School. He joined the National Guard before joining the U.S. Air Force, where he completed 21 ½ years of military service. After military retirement he worked in sales for Anderson Ford, Montgomery Ward, and Sears. 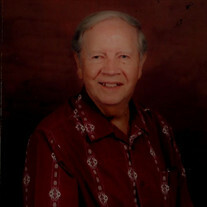 Harold was a member of Indian Springs Baptist Church, and also a member of the Retired Military Association. He was preceded in death by his parents; four sisters; and one brother. Harold is survived by his wife, Betty Ann Rowland Haga; children, Kathy Lynn Honeycutt and husband Barry, Victor Haga and wife Roberta, and Gary Haga and wife Sandy; five grandchildren; two great-grandchildren, and one sister, Margaret Cline and her daughter Linda Stubblefield. The family will receive friends from 11 a.m. to 12 p.m. on Wednesday, December 19, 2018, at Hamlett-Dobson Funeral Home, Kingsport. The funeral service will follow at noon with Rev. David Phillips officiating. Pallbearers will be Victor Haga, Gary Haga, Barry Honeycutt, Eddie Myers III, Karl McCullough, and Dustin Wagaman. The family would like to extend a special thank you to NHC for the care given to Harold.